Stephanie Jeffers of TX, a friend of my aunt's, raises Tunis sheep (and last season at least one East Friesian, as part of a 4-H cohort, I know). She sent me a clipping from three of her flock, to see what I could say about their sales-worthiness and usefulness as spinning fleeces. Oh, what a trial, to have to play with samples of three sheeps' fleece. So I quickly hand washed each lock in some hot water and hot rinse, let them dry a couple of days (okay, yeah, I forgot about them, it's been a little crazy here), and then spun little samples. First up is Prince Charming. At this point in the winter, with a month or so probably until shearing, his wool was about 2.5" long, fine, and cottony. It was nicely white, had good crimp and elasticity, opened right up with a little flick-combing, and wanted to spin quite finely on my very lightweight spindle I was using for the sampling. I think this fleece would want to be combed and then could make an great hosiery-type yarn. Second was the wonderfully named Hagar. His fleece was shorter, under 2". It was incredibly easy to draft and spin; I just very lightly flicked the lock and then found that as I spun from it, layers just gently peeled away to allow me to spin what made a wonderfully even, gently spun 2 ply sample. This fleece screams to be either flicked and spun with a light hand, or else spun woolen with a long draw. And saving the most special for last, we come to Odette. Odette is a lamb who has not had her milk fleece shorn. The birth wool of Tunis lambs is a beautiful red, and so the red is mixed in with the white in her fleece. I was worried that at this point her wool might be a matted, sun-burnt mess, but not so. It's about 5" long, and was easily teased out with a hand held comb (I was using a single Valkyrie Extra Fine comb to tease each of these, but if I were handling the whole fleeces I might choose my less-fine Indigo Hound mini-combs for the job). I spun it with a bit more twist despite the longer length, and got a lovely, even, very elastic two ply sample. I know the red-brown lamb wool doesn't show well in the photos, but it's there. Ensuring it doesn't comb out in processing would take a very light hand, however. So overall--very spinnable fleeces. No breaks, no matting, no scurf, minimal or no tip damage. The only problem I will note is that there was a LOT of VM of the type I abhor in my fleeces, the little bits of grass cuttings and chaff, which is very hard to comb out. These sheep were not coated and they live in Texas after all. However, on opening up and spinning the fleeces, there did seem to be far less than there looked to be when I first glanced at the samples as I began to wash them, so hand washing and processing seems as though it would be sufficient. The last quality control issue which we can't speak to now, of course, is shearing. This flock in the past has not been managed as a spinning wool flock, and so shearing has only been focussed on care of the sheep, with the expectation that the wool would be discarded. 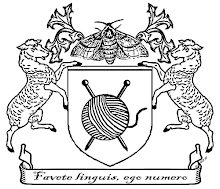 Assuming that the shearer finds the sheep can be handled suitably on shearing so that the fleeces can be sheared with minimal second cutting and similar damage, these should be great fleeces for the hand spinning market.